It was a wild year in hockey. It’s been another wild year in the NHL. The league had its fair share of ups and downs, culminating in a year that many will remember for a variety of reasons. With that, we present you with our best and worst selections from the NHL in 2017. Think we missed something obvious? Call us out in the comments below. Things got off to an emotional, powerful start in Vegas as the team honored the victims of the Las Vegas shooting. From there, the Golden Knights have been one of the best stories and one of the biggest surprises of the year. 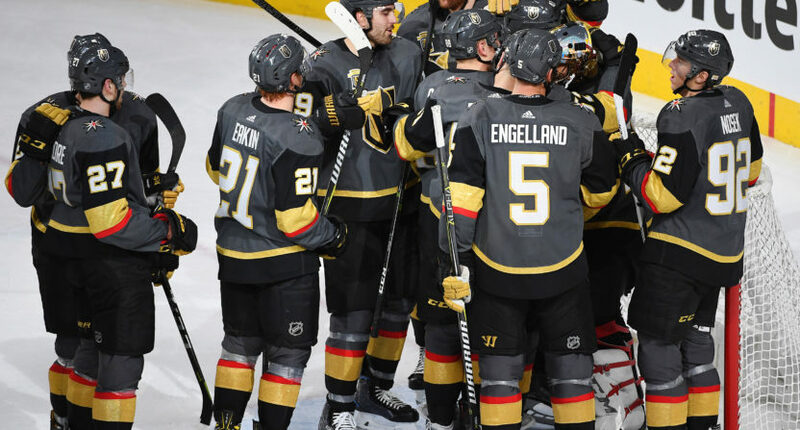 As the calendar prepares to flip to 2018, the Golden Knights have not only been competitive, but have been one of the best teams in the NHL this season. That’s a dream scenario both for the new franchise and for the NHL. Nothing builds a brand better than winning. As a result, attendance is booming for the Golden Knights, which might mean some larger prices in 2018-19. Back in April, the NHL made their decision to skip the 2018 Olympics in Pyeongchang official. The decision wasn’t a surprise, but it ended any hope of watching the talented stars in the NHL compete on one of the game’s largest stages. Instead, we’re left imagining what the rosters would have looked like, such as this pretend Team USA lineup. 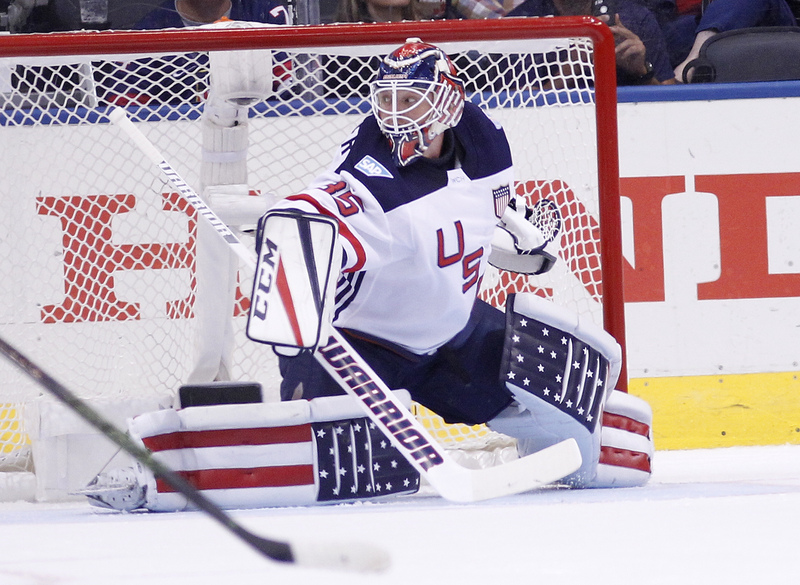 Financially, skipping the Olympics might make sense for the NHL. However, it’s a missed opportunity to grow the sport abroad, and it’s a guaranteed way to tick off a lot of your most important players who want to compete. Though the Olympic tournament will still be fun for serious hockey fans, it’ll struggle to draw in the more casual fans who won’t recognize any of the players competing. This mistake is so bad that we’ll probably feature it again at the end of 2018 long after the tournament has been completed. Connor McDavid deserves to be viewed as a top athlete in the sporting universe. Is it too early to make that claim considering McDavid is competing in just his third NHL season? Maybe, but his 2017 helped that argument. McDavid ended the 2016-17 season as the scoring champion with 100 points, besting second-place finisher Sidney Crosby who had 89 points. The flu slowed McDavid down for a portion of 2017-18, yet he is still in the best scorer conversation despite Nikita Kucherov trying to run away it. Keep this in mind with McDavid. Hockey fans are watching a player who has the capability of being an all-time great. Don’t ignore it. Oh, and who could forget this amazing photo? It’s gotten to the point where it feels bad to poke fun at the Coyotes. When the Colorado Avalanche were the joke of the NHL last season, it was easy to ridicule them as they had the talent on the roster to play better hockey. The Avs were their own worst enemy. In the case of the Coyotes, that same level of talent isn’t on the roster. Adding in the Coyotes’ consistently unstable footing as a franchise, the on-ice issues seem even more sad. There aren’t any easy answers or solutions to the Coyotes’ woes, either on or off the ice. You probably didn’t expect an NHL official to make it on the “best” list. We didn’t either. Wes McCauley is here because he’s marching to the beat of his own dramatic drum and we absolutely love it. In a league that tends to stifle creativity and personality, this is great to see. The offside rule was a hot topic in 2017. Specifically, coaches challenging whether or not a player was offside prior to a goal was an infuriating, painful experience throughout 2017. As the NHL called back goals due to players not involved in the play being a hair offside, the cries to change things up grew louder and louder. Some players were so frustrated that they advocated for the removal of the offside rule as a whole. Why would the NHL put up more offensive hurdles when it’s starving for goals? Finally, the NHL adjusted the review procedure so that the challenging team would be assessed a two-minute penalty if they challenged an offside call incorrectly. It’s not ideal, but it at least cuts down on the previous low-risk, big-reward system that was in place. It would have been better to see a more drastic action taken to fix a rule/review that’s broken. The 2017 All-Star Celebrity Game back in January was pretty easy to forget, but there was one moment that hockey fans rallied behind: Chris Pronger checking Justin Bieber. The hit itself was tame (keep in mind it was a fun celebrity game), yet it produced one of the best photos of the year. When did threatening to leave a city become an acceptable strategy in the NHL to get what you want? Relocation talk is nothing new in the NHL, but it is bizarre to see two Canadian teams – the Calgary Flames and Ottawa Senators – talking about moving. No one really believes that either of these two teams will pack up and leave what should be two strong Canadian markets in favor of greener pastures that may not exist. Honestly, Senators owner Eugene Melnyk could be on this list multiple times for all of the statements he has made this year. Meanwhile, there are fans of teams around the NHL who are facing the reality that relocation may be in store. That makes the teams crying wolf even more appalling. Sometimes hockey players are forced to deal with ailments that are bigger than the game of hockey. Such was the case with Bryan Bickell who was forced into an early retirement due to with multiple sclerosis and Brian Boyle who was diagnosed with chronic myeloid leukemia. Bickell had an amazing moment when he scored a shootout goal in the final game of his career. Moments like the shootout goal from Bickell are perfect. It’s great to see a respected player go out on such a high note. Meanwhile, Boyle was able to return and made his debut with the New Jersey Devils. It’s pretty incredible he’s even playing. It goes without saying that his first goal with his new team was an emotional one that brought him to tears after the game. Boyle also scored a great goal on Hockey Fights Cancer Night. You never want to see players (or anyone for that matter) go through a serious illness. The class shown from both Bickell and Boyle are worthy of all of the praise the two have received. This story is so bizarre that it almost sounds too ridiculous to be true. The Nazi demonstrations in Charlottesville, Virginia featured a surprising logo belonging to the Detroit Red Wings. The signs belonged to a group of white nationalists who go by the Detroit Red Wings. Kind of an obvious trademark infringement, don’t you think? The Red Wings quickly stated they were exploring legal action. If you need further proof that 2017 was bonkers, consider the fact we have to write about Nazis using hockey logos.